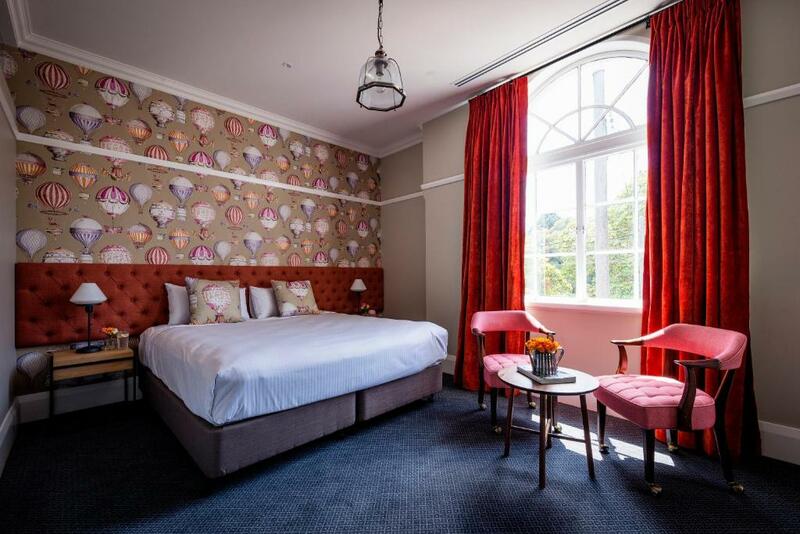 Lock in a great price for The North Sydney Hotel – rated 8.9 by recent guests! Room was nicely decorated, probably recently renovated and very clean. Feels like home and very near to the train station.. staff was very helpful.. the place was generally nice..
A very quiet room with a view comfortable bed. Slept in until 9:00am. Close to the city as well. Love going over the bridge.. Self serve breakfast was very easy. Amazing location. Unfortunately we got there too late for dinner but the meals were saw were huge and so cheap. The room was well presented and very clean. Staff were very helpful and friendly. 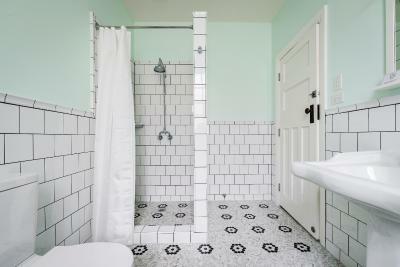 The renovations have been done spectacularly and not done in a modern boring way, has kept it classy. I didn’t realise the hotel was a pub, but the room had lovely white sheets and everything we needed. The breakfast was simple but also did the job. Mark who greeted us was very helpful. 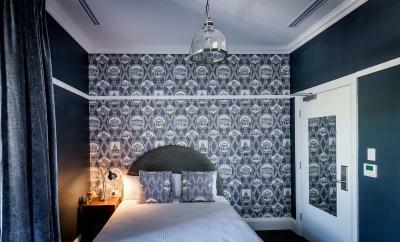 We had a lovely night in the beautifully restored guest rooms above this Sydney pub. We stayed on a Thursday night and had no problems with noise, although I don't know what it would be like on a weekend. The room was big enough, beautifully decorated and spotlessly clean. We enjoyed the communal kitchen/lounge area as a place to plug in our laptop and do some work. 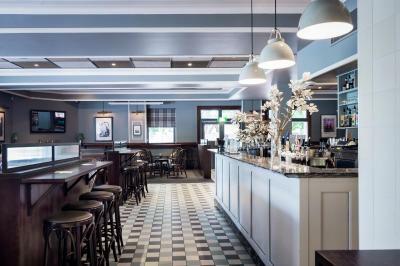 The staff were very helpful and we had a delicious (pub) lunch in the bistro downstairs. 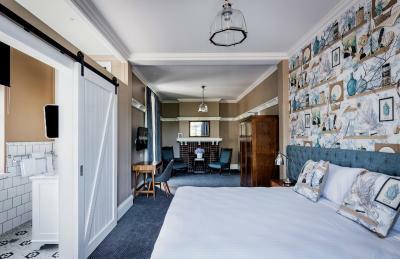 Fabulous update of an old hotel. 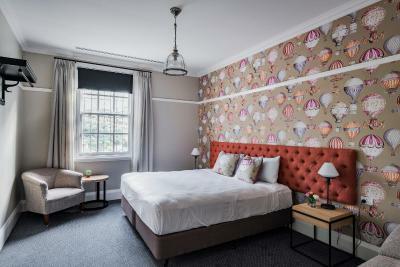 The refurbishment was tasteful and practical. Warm welcome. Lovely light room. 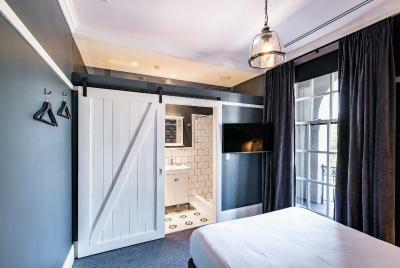 Great shower and location is superb. The staff was friendly, the breakfast was self-organized with cereals, milk, coffee and jam. You can buy drinks from the store behind the hotel. 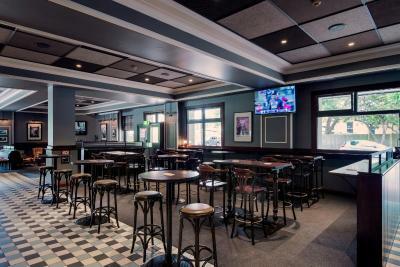 One of our top picks in Sydney.The North Sydney Hotel offers accommodations in Sydney with access to an on-site bar, bistro and gaming area as well as an outdoor area, where smoking is allowed. You can relax in the communal living room, where you will find a kitchen with complimentary cereal, bread, butter, jam, milk tea and coffee. 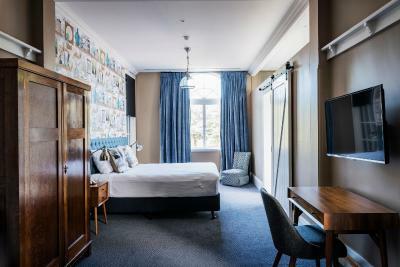 Each room at The North Sydney Hotel includes free WiFi, a flat-screen Smart TV, individually controlled air-conditioning and heating, complimentary shampoo and conditioner, a hairdryer and daily housekeeping. Linen and towels are provided. 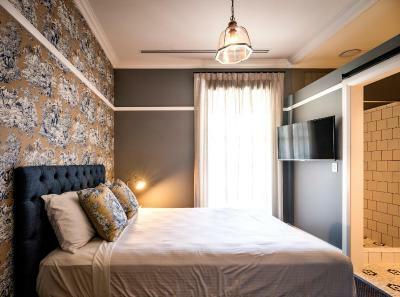 Upon request, guests have access to hairdryers, ironing facilities, a cot and a roll-away bed. Luna Park Sydney is 1.2 mi from The North Sydney Hotel, while Harbor Bridge is 1.4 mi away. The nearest airport is Kingsford Smith Airport, 7.5 mi from the property. North Sydney is a great choice for travelers interested in scenery, harbors and restaurants. 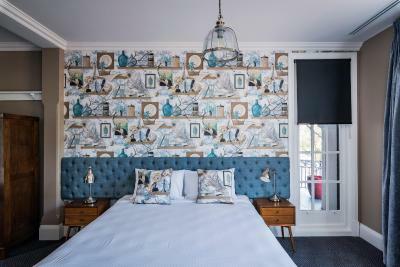 When would you like to stay at The North Sydney Hotel? 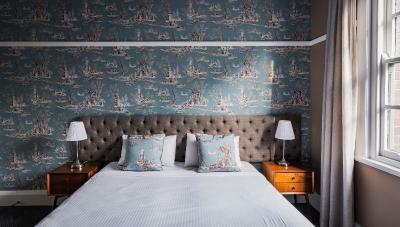 These rooms have beautiful French, designer wallpaper, high ceilings, double-sized beds and spacious private bathrooms with complimentary toiletries. Private parking is available at a location nearby (reservation is needed) and costs AUD 25 per day. 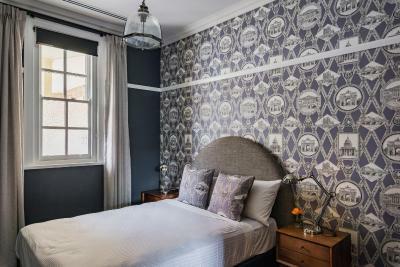 This studio is beautifully decorated with designer wallpaper and a lovely private bathroom. It offers a serene view of St Leonard's Park and North Sydney Oval. 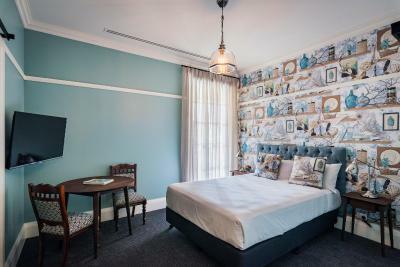 The king-sized bed can be split into 2 single-sized beds and a roll-away bed is available on request. You can request your preferred bedding configuration in the Special Requests Box at the time of booking. The largest room at the property, offers a picturesque view of St Leonard's Park and North Sydney Oval. 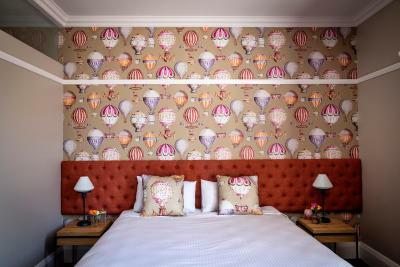 It is decorated with French designer wallpaper and has high ceilings. 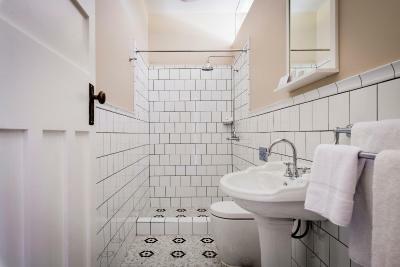 There is a spacious private bathroom with complimentary toiletries and there is also a separate seating area. 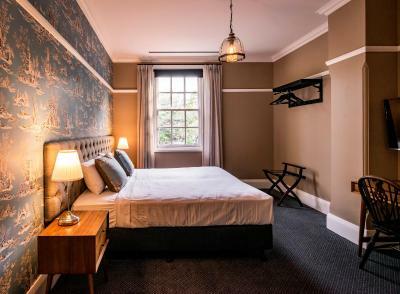 This spacious room has a king-sized bed and an area with a table and chair. 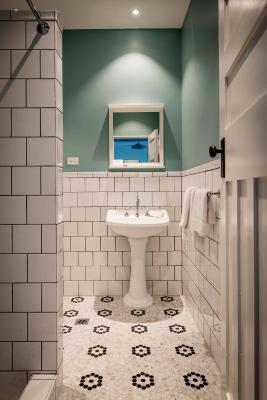 Access to a spacious, shared bathroom, shared with 2 other rooms, is provided. 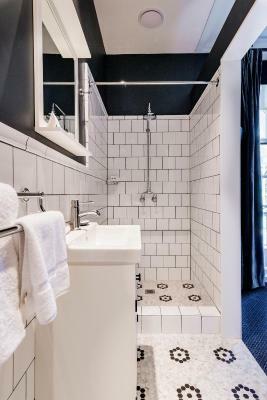 The bathroom has a large, free-standing bath, toilet and a shower. Additionally, there is a separate toilet. 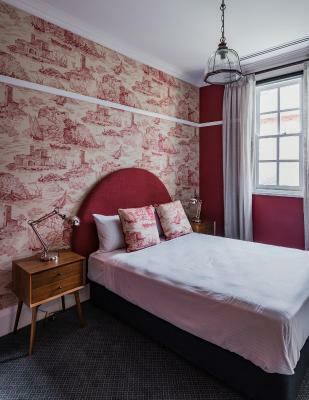 Please note that the king-sized bed can be split into 2 single-sized beds, on request. 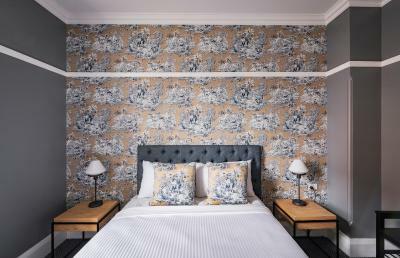 You can request your preferred bedding configuration in the Special Requests Box at the time of booking. 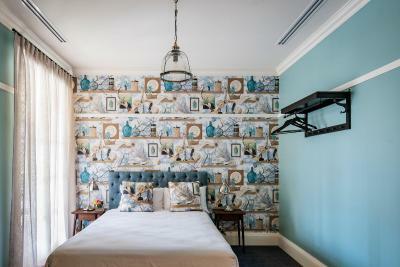 This room is uniquely decorated with beautiful French designer wallpaper. 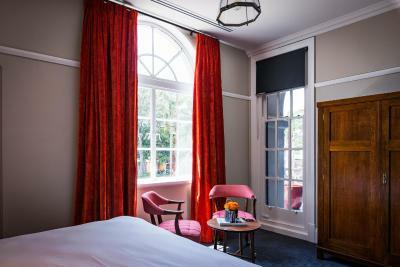 It has high ceilings, a queen-sized bed and a spacious private bathroom with complimentary toiletries. Some rooms have an area with a lovely table and chairs. 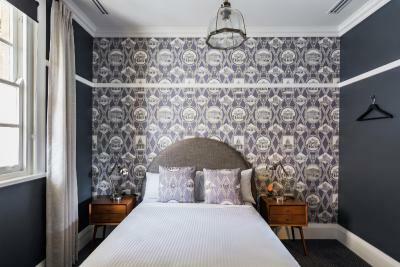 The room is beautifully decorated with French, designer wallpaper and has views overlooking the serene St Leonard's Park and North Sydney Oval. 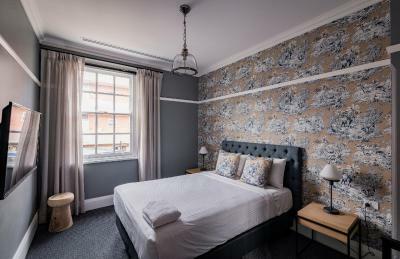 The rooms have luxurious high ceilings, a queen-sized bed and a spacious private bathroom, for 2 guests, with complimentary toiletries. Some rooms have a table and chairs to enjoy the view of the nearby oval. 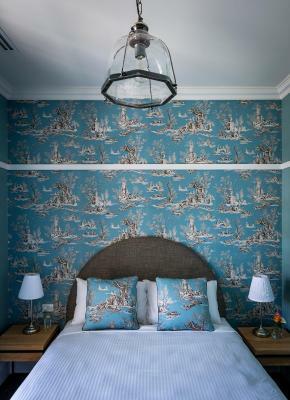 This room is beautifully decorated with French, designer wallpaper and a queen-sized bed. 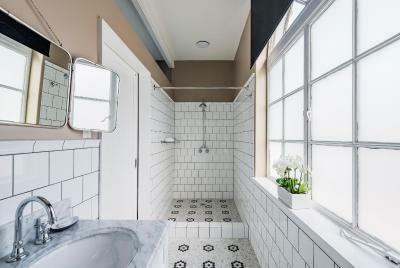 It shares a bathroom with 2 other rooms. 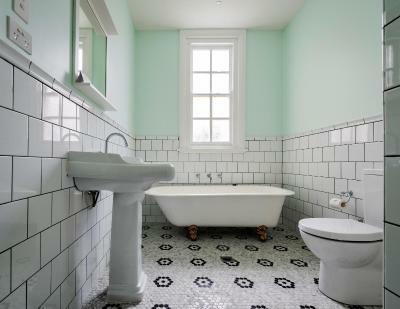 The bathroom is spacious and elegant, including a free-standing bath, toilet and a shower. Additionally, there is a separate toilet. Hotel surroundings – This neighborhood is a great choice for travelers interested in scenery, harbors and restaurants – Check location Great location - show map Guests loved walking around the neighborhood! 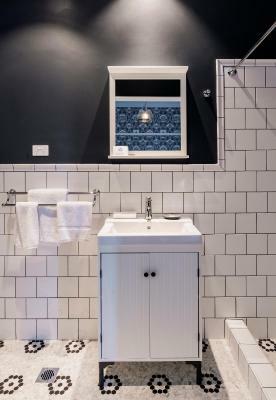 House Rules The North Sydney Hotel takes special requests – add in the next step! One child under 12 years is charged AUD 30 per night when using existing beds. 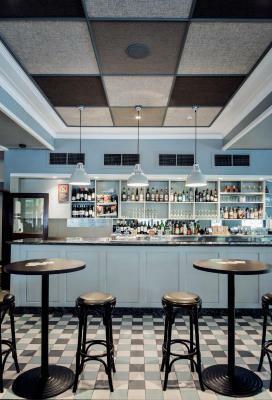 The North Sydney Hotel accepts these cards and reserves the right to temporarily hold an amount prior to arrival. Please note that all rooms are strictly nonsmoking. Smoking is allowed in the outdoor area. Please note that you cannot check in before 08:00 on all days. On Sundays you cannot check in after 22:00. Please note that there is a 1.5% charge when you pay with a Visa & Mastercard credit card. Please note that there is a 2% charge when you pay with an American Express and Diners credit card. 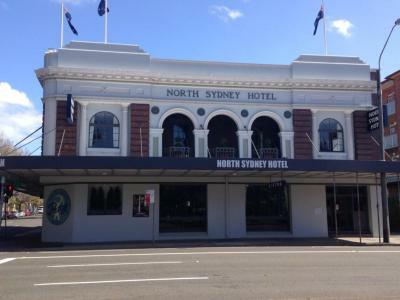 Please inform The North Sydney Hotel of your expected arrival time in advance. You can use the Special Requests box when booking, or contact the property directly using the contact details in your confirmation. 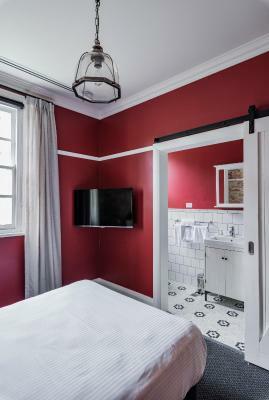 Beautifully renovated 1927 hotel in very convenient location. Parking can be tricky during the day. Always clean and beautifully presented. Great access and location. 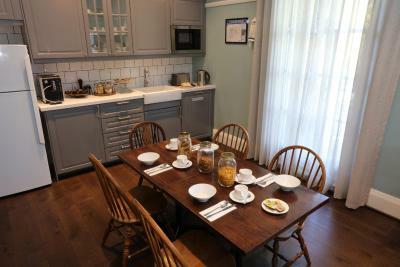 Staff are always friendly and breakfast room and coffee is clean and well stocked. No lift.. Small rooms.. Not much options available for breakfast(only milk, cereals, bread, butter etc).. It could be quite noisy during nighttime. Our room was tight across the hall of the shared kitchen and living room and we woje up quite a couple of times because of people getting in and out on different times. Nice, clean rooms and friendly staff. Only had street parking, during the weekdays all parking had timed parking spaces, I coped a big fine. 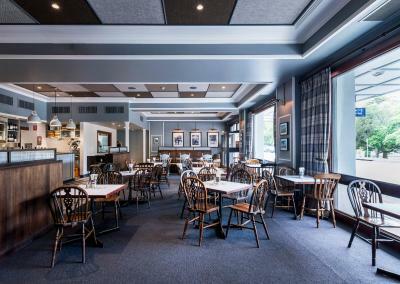 friendly staff, great little breakout/lounge area with basic breakfast and cooking facilities. Pretty sure the room had a double size bed... the room should have a queen. Location was great for work. 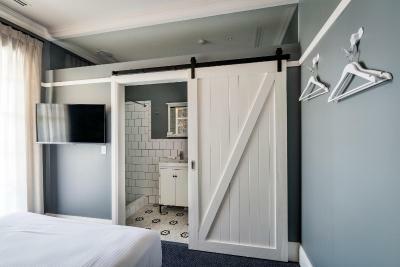 Cute rooms. Could do with a chair in the room. Hallway noise transfer, when guests where in the common kitchen. For a quick business trip, it was more than adequate, staff helpful, bed and pillows equally as good. Will come back when next working in the North of Sydney.